Why does the ranking of new blog posts very with time? The up and down rankings of keywords are not new, but a confusion that is mostly done by webmasters, ranking fluctuation of a new blog post. Generally whenever you publish a new blog post, you will see it in the first 4-5 pages of Google Search, but over time this ranking generally decreases, disappears or increases. It also raises a question that, if the quality of the page was not good then why do such blog posts come forward in Google Search, and why does this ranking fall over time? Years ago, Google roll out the Caffeine Indexing, which helped Google show faster in indexing web and blog posts recently published in Google Search results. On the basis of Caffeine, Google roll out an algorithm tweak to show latest / recent updates in Google Search. This means that when you publish a new blog post, Google will display it in the top first for a few hours and a day because it is more recent. This is also right, because when you search about a recent event like Earthquake, Sport Results etc., it makes sense. As Google always values ​​the quality, over time, according to Google's other signals, Google improves or decreases your ranking, according to the second postings, so that they can show more relevant results. Ten way’s to Make Money Online. This is one reason that many times you see scrapped content in place of original content in search. And I'm not mistaken that when Google indexes the Web, it already filters out Spam Websites so that it can be able to maintain a clean web eco-system even though it is part of Google Search results. Even if your new content ranking drops for a while, do not panic, and keep working, because if you have written a quality post, you will get your ranking back over time. If your blog is already a quality blog (High-Quality Blog), you probably will not see such a ranking drop again, but such a ranking for a new blog or middle-level blog is normal. Now here are some tips to improve your ranking over time. How to maintain your Google Ranking? Place Keyword in H1 Tag. Place Keyword in H2 Tag. Maintain a great keyword density. Add LSI (Latent Semantic Indexing) Keywords. Bold and Italicize the important part along with keywords - it's the idea of ​​making your content scannable. This search engine will not only help in identifying strong keywords in your blog post, but it will also help readers to quickly scan your content. Length of Article - It's a Known Factor for Great Ranking. With great content, take a look at the length of your article. Badhiya length articles usually do a great rank. Make sure that Page Load Time is not too much, because Google penalizes slow loading pages. If you are writing new articles, take advantage of star rating in Search. One great strategy is to analyze the top 10 results, and try to write something which is already better than Top 10 Results. Also keep the niche of your blog, because over time, you will be ranked out by niche blogs for the same topic. Social Media Share and Bookmarking is another known signal for Google Ranking. Make sure you have the right call to action bookmarking and sharing buttons in your blog posts. If you use WordPress, you can use plugins such as Digg-Digg to add such buttons. You should always keep promoting your old blog posts on social media sites like Facebook, Google Plus, Twitter as it will help you get more shares and your social ranking will be great. You should continue to build links for your latest posts. Do not use any spam method or un-natural way to get links to your blog. One great idea is to write a guest post on a niche based blog, and get a backlink to the context of the article. Try to dvelop more content on the subject you are writing on. If I am writing posts on how to maintain Google Keyword Rankings for quotes, then I should also write these posts: How to check Keyword Ranking? Or how to get your blog posts in Google Search? That's it, it will ensure that despite Google Dance, you can get your lost rank back. 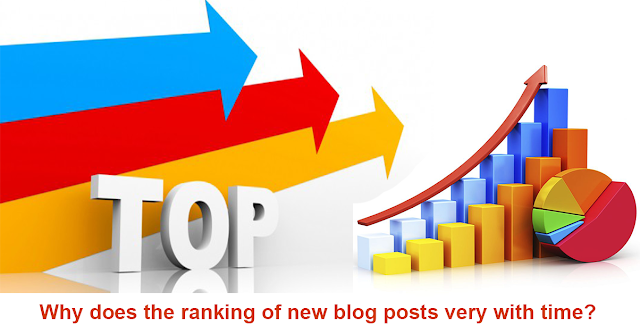 So if you are now seeing a new blog post losing rank in the search engine, instead of worrying about it, keep working natually, and focus on the above points and focus on them. Once Google will determine your actual ranking after a while, you will earn a high ranking in a true mood.